I am currently accepting your submission calls. 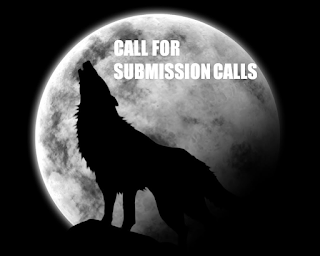 Please feel free to contact me and submit your calls to my kind submission manager (see below). I am happy to provide you with poetry, fiction, reviews, interviews, articles, visual art, short fiction, interviews, memoirs and biographical pieces. Most of the work I deliver ranges from 250 to 2000 words. Depending on my availability, I can provide previously-unreleased work (which is more expensive). Expect previously-published pieces as well. I will inform you in case of simultaneous submissions (but not always). Together with each of my pieces, you will include my biography as well as my links (blog, website, Facebook, Twitter, etc) and a picture of me. As part of our agreement, you will be requested to promote my work on your social media accounts. Prior to promotion, I will review the copy that you intend on posting on social networks. My work will be compensated by monetary payment. This compensation will be evaluated based on a number of objective parameters. I will establish a tailored but reasonable budget for each of my submissions. Upon receipt of my submission, my piece is available for publication within five (5) open-days. Failing to include my work within due time, I will withdraw my submission. Publisher should proceed to payment upon receiving my submission. All rights to published work stay with me. I also reserve the right to ask you to withdraw my work from your magazine, website, blog, etc. Before sending your submission call, please make sure that you have read my work and bought some of my books. Thus you will familiarise yourself with the type of work I usually produce and will get a much deeper understanding and appreciation of my writing.